Wildlife in the Rocky Mountains: The hidden stories of conservation, recreation, and sharing our communities with charismatic fauna. 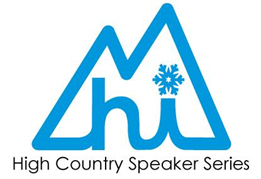 In its 17th year of bringing dynamic speakers to the Eagle Valley, the Eagle Valley Library District and Walking Mountains Science Center once again bring topical and engaging subjects to life to carefully examine what it means to be healthy in the high country. These evening programs are FREE to attend, all ages welcome! All presentations at 5:30 pm. Rick is a Colorado native and taught high school biology and photography for 24 years. His all-time favorite job was the 15 summers he spent in Rocky Mountain National Park. Rick has published several photography books and many of Rick’s images have appeared in the Vail Daily, Colorado Outdoors, The National Geographic website, and even Walking Mountains Science Center publications. Rick’s extensive background in science and photography and his unwavering interest in the documenting wildlife in the Eagle Valley has distinguished him as the preeminent wildlife photographer a citizen scientist in the valley. Bio: Tom Griffin is the current Manager of McNeil River State Game Sanctuary in Alaska. He has worked for the Alaska Department of Fish and game at McNeil River State Game Sanctuary for the past 19 seasons. Tom has also worked at Anan Creek Wildlife Observatory in southeast Alaska for 3 seasons prior to his time at McNeil River. 1989-1991 supervised study on Bighorn Sheep at Booth Creek. Supervised the Colorado Lynx survey crew 1991-1993. Published in Wildlife Society Bulletin 1995, one of the co-authors of: The Effects of Ski Area Expansion on Elk. Member of the Colorado Division of Wildlife Lynx Recovery Team. 2007 Wildlife Lifetime Achievement Award; by Colorado Division of Wildlife. Due to severe winter weather this program has been cancelled. We hope to re-schedule this presentation soon. Carter Niemeyer has been a trapper, hunter, and wildlife proponent his entire life. Wolves, he believes, add to the outdoor experience, and people who see or hear them should consider the experience thrilling. Wolves do not, as many believe, kill everything in sight, destroy their own food supply, or lick their chops at kids waiting at bus stops. They are simply predators like lions and bears, and anyone who believes otherwise is, well, wrong. Niemeyer retired in 2006 from the U.S. Fish and Wildlife Service where he was the wolf recovery coordinator for the state of Idaho. As an expert government trapper, he was a key member of the federal wolf reintroduction team in Canada in the mid-1990s. Carter is an Iowa native, but adopted the West as his home in the early 1970s. He has two degrees from Iowa State University and is a Wildlife Society certified biologist. In 2010 he wrote his first memoir, Wolfer. He published his second collection of stories, Wolf Land, in March 2016. Join us for this special encore presentation!